This is LETHEAN‘s debut album and it is amazing. The band delivers an excellent mixture of heavy and epic metal with some doom metal touches here and there. I will consider ATLANTEAN KODEX, early SOLSTICE, and even ISEN TORR as the main influences on their songwriting. Their music carries a mysterious, misty, gray mood. Each and every part on their songs is amazingly developed, thanks to the music of James Ashbey that plays all instruments. But I have to add that Thumri Paavana‘s vocal lines are the most amazing feature in this release. She sings in an excellent, warm way, some of the most well written vocal lines that you would be able to hear lately on the specific genre. Ashbay develops each and every part of every song in a unique way. You should expect compositions that expand inside your mind with each and every listening and not the typical “out of the box” “epic metal” songwriting. There is, of course, this special British, gray touch spread around the material, I am repeating it again. 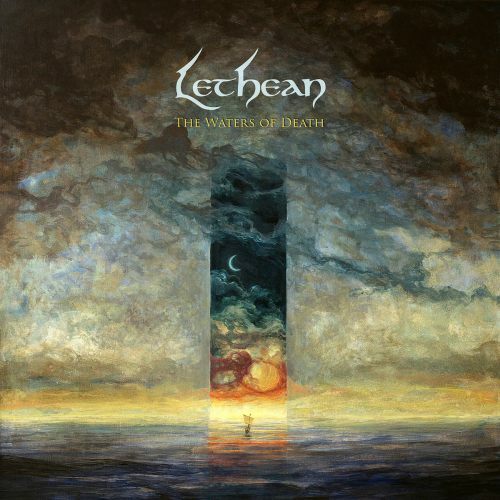 In fact, Lethean is from UK and Ashbay have spent quite a valuable time on UK bands in the past – including SOLSTICE – So it is obvious that he finally would pick all this vibe, creating his own extremely well-written music. And yes, listen carefully you would discover some serious magic on all the instrument parts he handles -amazing drumming by the way!-. This is an amazing album. This is how epic metal should be played in my opinion: enough space for serious heavy metal and doom metal touches. Amazing agony riffs, but also complete melodic guitar parts and interludes, deep vocal melodies and a gray, misty almost mournful atmosphere. Grab this jewel as soon as possible. ps: “Devouring Fire” is a true opus. I can not stop listening to it.